Decorate your home with these FREE Halloween printables! Lately I have become an AVID lover of creating things on my computer with my trusty Gimp editing program. Gimp is like Photoshop but FREE. Who would pay money when you can get it free? Um, not me. Some people swear on Photoshop, I swear on Gimp. It rocks! Check it out here if you want! 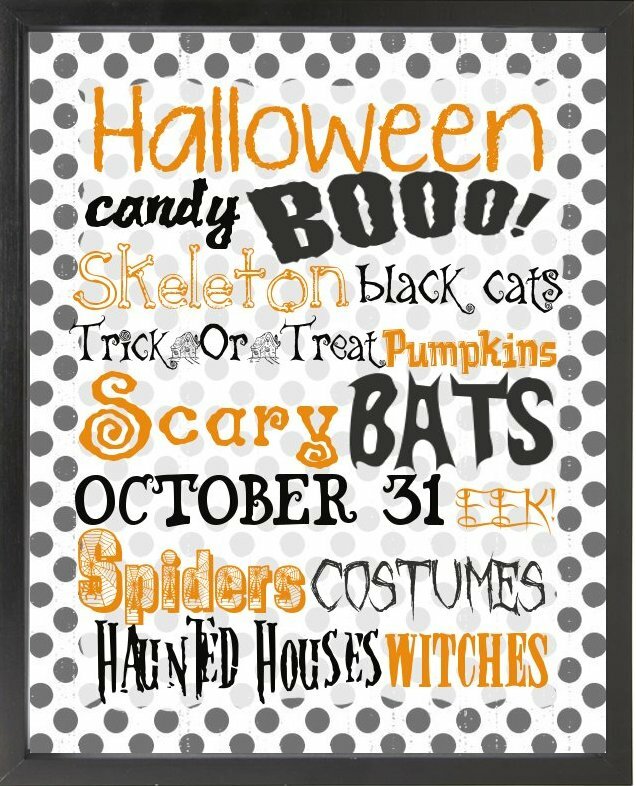 I have found SOOO many super lovely printable’s for Halloween. I love them so much that I created some of my own with my own little twist of things. I hope you like them. Feel free to use them to spice up your home for the Halloween season! I have 3 different printable’s, but have compiled them all into one PDF file. You are welcome to use all 3 or just one. This is my favorite. I call it- HOPE on HALLOWEEN. Okay just made the name up. But I do love it. I’m a fan of purple, black, and green for Halloween. I think it’s different but still super cute and festive. Next comes one exactly like the one above, but, it’s for your orange and black Halloween lovers. I am nice enough to give something that can be satisfied to all! The colors really pop in this one I think. 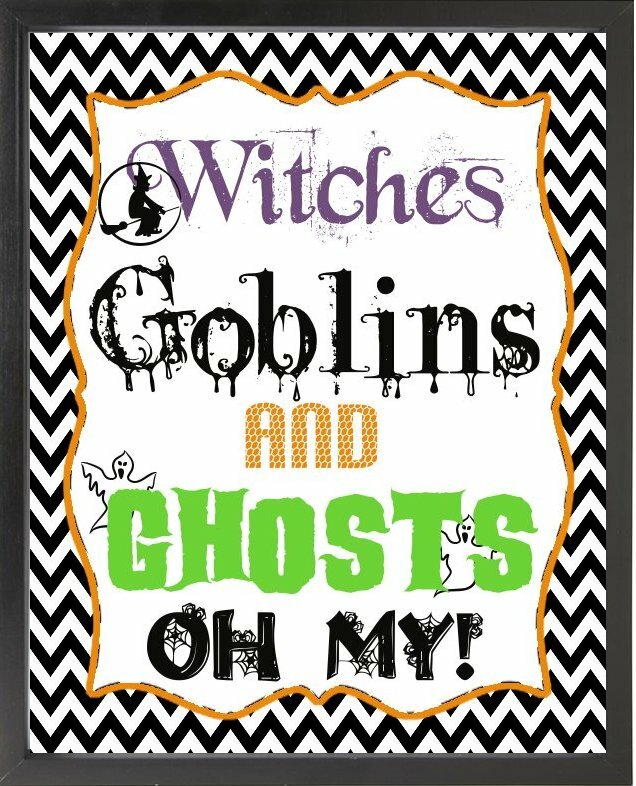 Lastly, I have a favorite Halloween saying of mine-Witches, Goblins, and Ghosts, Oh My! I love this saying and had to make a printable of it. I haven’t seen a free printable of this saying anywhere so I thought I would make one since I love the saying as well! 1. These are all perfect to fit in an 8×10 picture frame. 2. You can print it on paper or card stock and it should print very well. You will have to cut the edges off the paper as a regular is an 8.5×11. If you have any problems please let me know so I can fix it! Thanks! PDF file is right below this. Hope you enjoy these Halloween printables! Stay tuned for some Halloween soda labels. (I’m still working on them, but they’re going to be epic! Where do you plan on putting these? They’d be great for classrooms, I think! 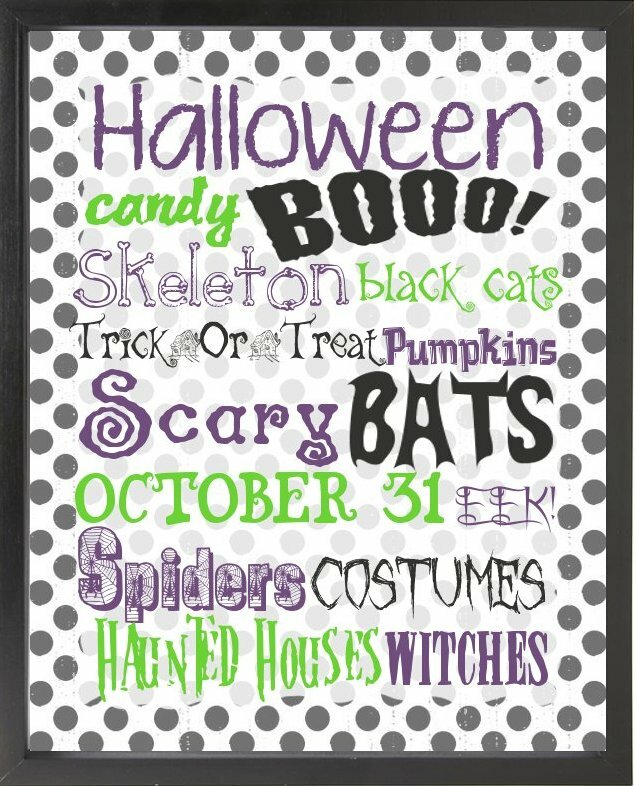 Don’t forget to look at our other great Halloween idea’s here!